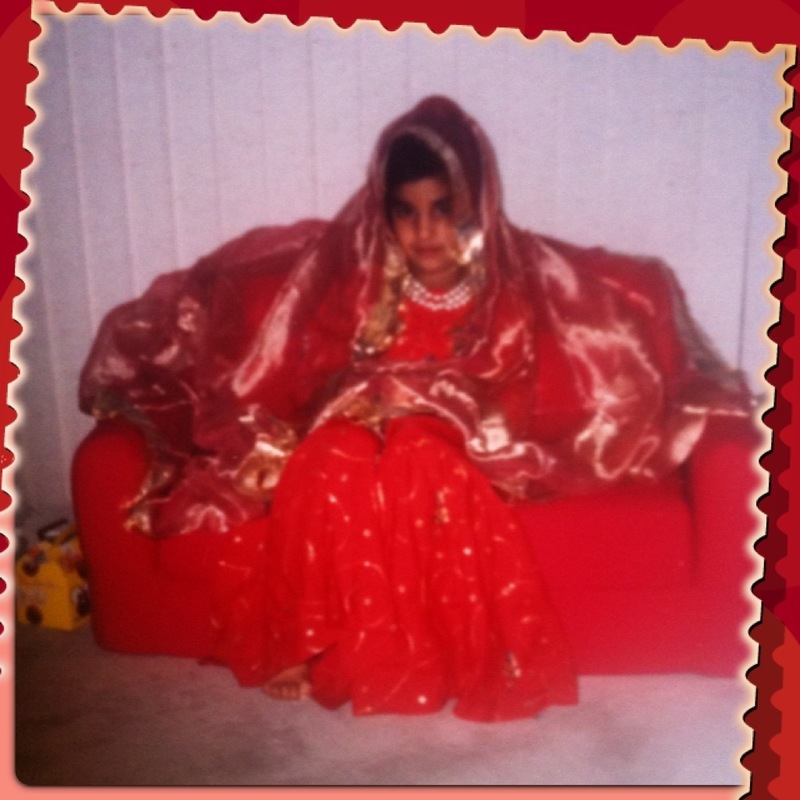 This is what happens when you have a sister who is ten years your senior…she dresses you up as a Pakistani child bride when you’re 7 and she’s 17…lol, sigh. Let’s hope I’ll look a little happier on the actual day! !